Are you looking for a Bing Keyword Tool to help optimize your Bing Ads account? The Bing Ads Intelligence Tool is a significant first step in keyword research for your campaign in PPC. See how to use it now! As a note, I performed all of this at a very high level, but this is an excellent first step to take if you don’t have a lot of time to dedicate to your campaign. 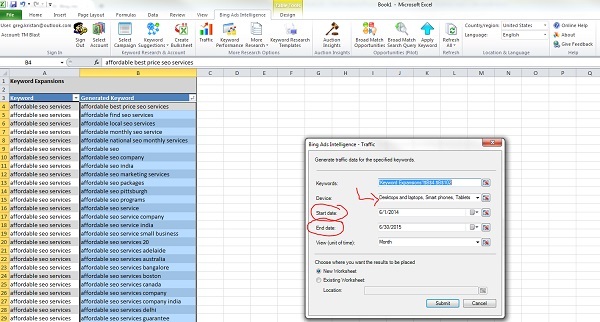 The beauty of this tool is that you can also use it for your Bing SEO strategy. I’ve imported the last seven days of data from my Bing Ads campaign. For this example, I am going to select a keyword that has a pretty high click-through rate during the past seven days. I’ve highlighted that keyword below. When I clicked on that keyword, I went to the More Research section and clicked on Keyword Expansion. The default is 50 rows, but I decided to check off 100 keyword suggestions. Based on this picture above, I have a large set of keyword ideas to work with. I selected the entire list of keywords and clicked on the traffic tool section to better manage these keyword suggestions. Now, I have a lot of facts to go through. I have 800 additional rows to look at which will take a lot of time. I am using excel, so I can sort of all this with just a few clicks. This is how I set mine up by creating a custom filter by sorting keywords, time period, and searches. Again, I am looking to save time, so I am going to create a pivot table to sort all of this data. With this data, I now have a quick look at desktop searches, smartphone searches, and quarter searches. There are so many factors to look at when you do keyword research. You have to look at things like seasonality, relevance, cost per click, and so much more. For this example, I am just trying to get a very high keyword level review of potential terms that make sense for my site. Again, I am not looking to spend a lot of time right now because I am in the exploratory stage of keyword research. When I find some keyword targets, I will spend more time going through factors like seasonality and more. 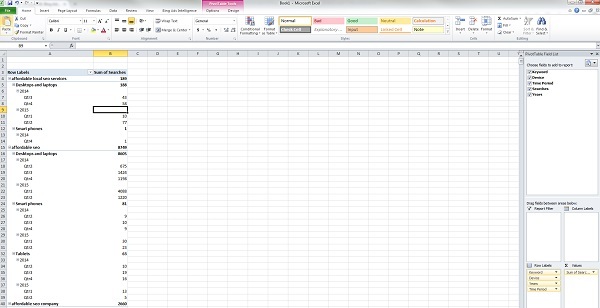 After breaking out the data in the pivot table, I transferred all of that data into a new excel sheet. Here, I am sorting the total amount of searches on all devices during period. I broke out the results to make it a bit easier to read. Now again, I want to stress that you should go back and check out the seasonality factors when you choose some of these keywords, but I am just looking at keyword potential at a high level. I decided to sort all the “affordable” key terms by largest to smallest. In column C, I decided to run a formula to divide all of this data by 12. The 12 represents one year, or 12 months. For this example, I will say I am fine with these words. Now, I want to see how much on average the CPC will be for these terms. I am going to select all the keywords and click on the Keyword Performance section. As a note, I am just trying to get a rough cost per click for the last month. This entire experiment is to obtain baseline metrics. I use the Bing Ads Intelligence Tool because I have a lot of options to sort the data into many categories. 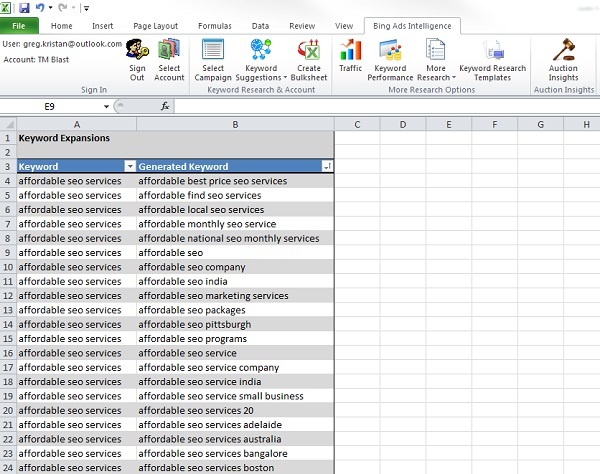 I use this tool for keyword research because it will give me keyword ideas, the seasonality reason, and also the rough cost per click for those terms. After I have identified a few words, I will go in further and sort everything by more factors, but this is just the beginning stage. 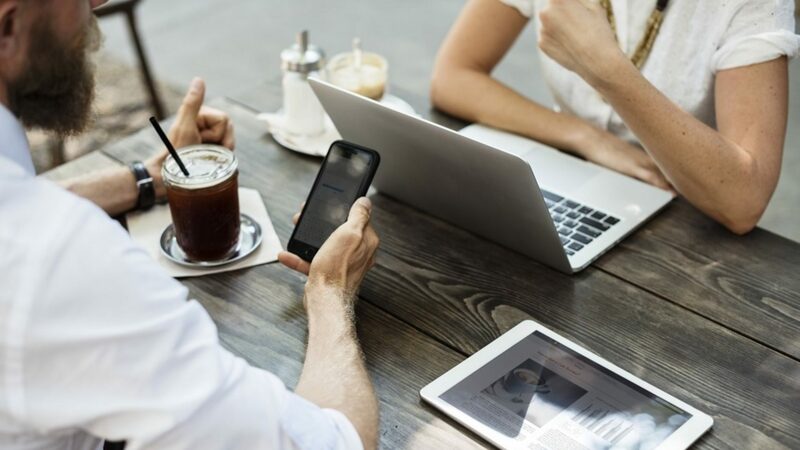 Using a Bing Keyword Research Tool will give you additional insight that you may be overlooking when working on your PPC or SEO strategy. 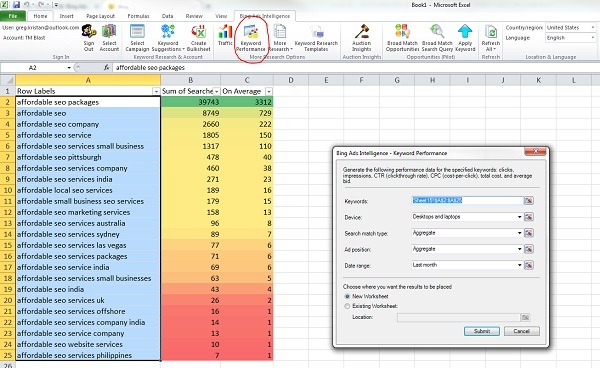 Since the tool is built into Excel, you will get a lot of Bing Research Tool data to help with your optimization. There are many other functions on this tool that I can use too, but I will stop here since I just wanted to talk about keyword research. If you have any questions on how to grow your Bing organic traffic, I’m an SEO Specialist that can help!